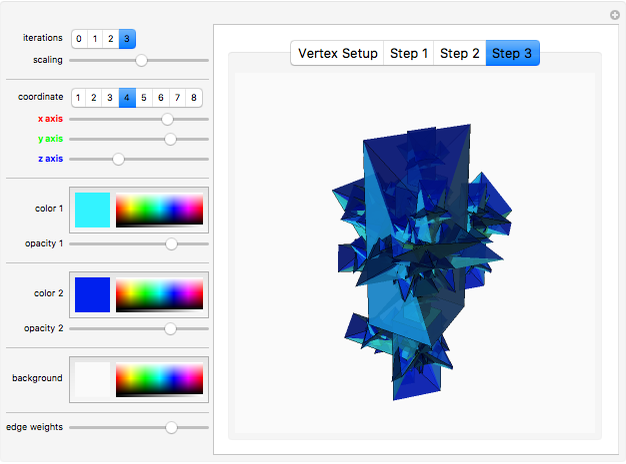 Generate your very own fractal. 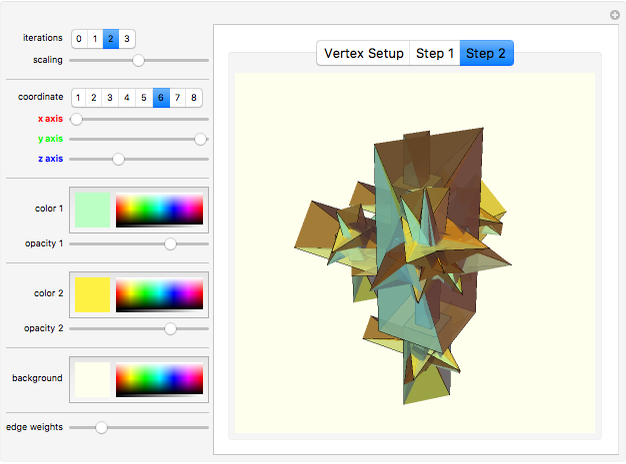 Manipulate the scaling, base shape, lighting colors, iterations, and opacity (to view the inside of your creation!). Using these tools you can create many different interesting shapes, especially if you overlap the base shape's planes. 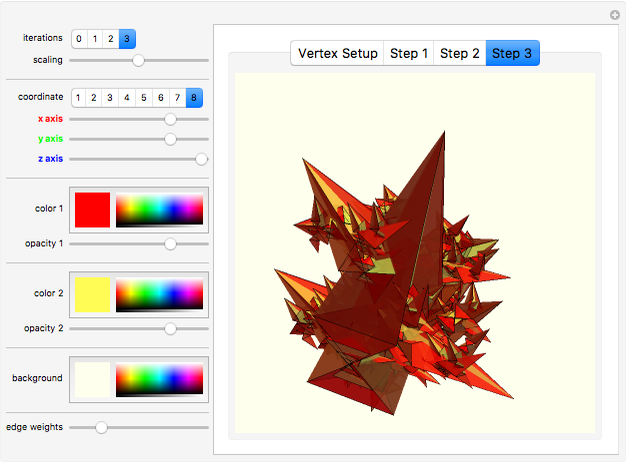 Russell Hart "3D Mesh Generator"